23 Jan Eat Your Waffles! Show of hands, who eats a good breakfast every morning?….. It’s a good thing I can’t see all the hands that didn’t go up! 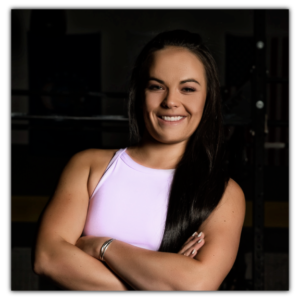 It’s the number one nutritional change I have to make with almost every new client. EAT IN THE MORNING! When we wake up, our hormone levels are the highest. Our cortisol levels begin to rise. Cortisol is a big component of fat retention and difficulties in losing weight. For those of you who stress eat, cortisol is not your friend. When our bodies are stressed, our cortisol levels rise. Fueling with comfort foods when these levels are heightened makes it so we store almost all of those calories instead of using them, resulting in fat gain and also water retention. Wake up and fuel with a high protein breakfast! Give your body protein to suppress the cortisol levels. Depending on your daily diet and fitness goals you can do this a few super easy ways! A clean isolate protein shake, such as Pür Native, using water only can deliver a straight shot of protein to keep the muscles happy yet, you are sparing the carbs if you are trying for weight loss with less muscle break down. If you are trying to get fueled properly for a good workout or a long day, give your body some carbs with that shake! 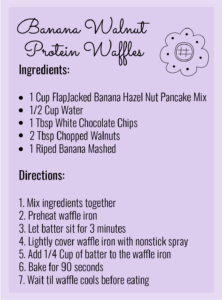 Try the recipe below for a delicious way to get a macro happy, high protein breakfast in quickly and easily! 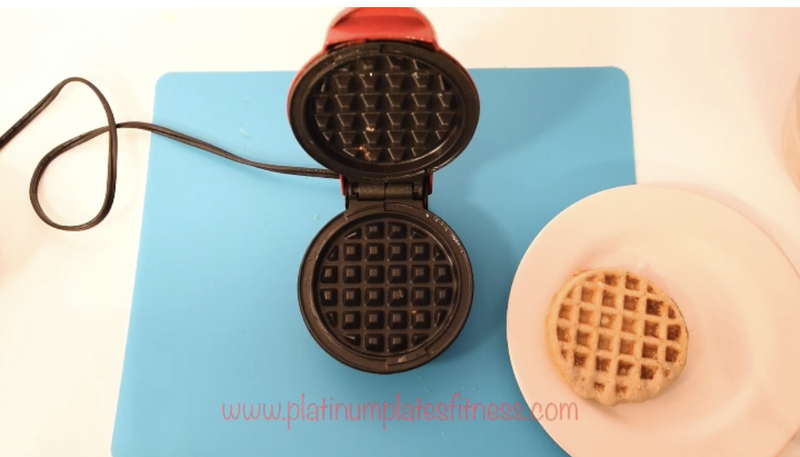 These Banana Walnut Protein Waffles, using FlapJacked Banana Hazelnut mix and the mini Dash waffle maker from Target, are to die for! And they give your body and brain the fuel it needs first thing in the morning. Don’t like some of the ingredients I used? That’s ok! Try it your way! Drop me a line of what you did in yours!